Quorum Technologies, market and technology leaders in electron microscopy coating and cryogenic preparation products, report on plant biology research at the Sainsbury Laboratory, Cambridge UK, where their PP3010T Cryo-SEM preparation system is in routine use. The Sainsbury Laboratory Cambridge University (SLCU) is a new research institute funded by the Gatsby Foundation. The aim of the Laboratory is to elucidate the regulatory systems underlying plant growth and development. The Laboratory hosts a state-of-the-art advanced imaging facility for scientists working on several aspects of plant developmental biology, including live imaging of developing plant tissues, and high-resolution scanning electron microscopy. The facility currently has four major instruments, two stereo-fluorescence microscopes and several dissecting microscopes. Dr Raymond Wightman is its Microscopy Core Facility Manager. 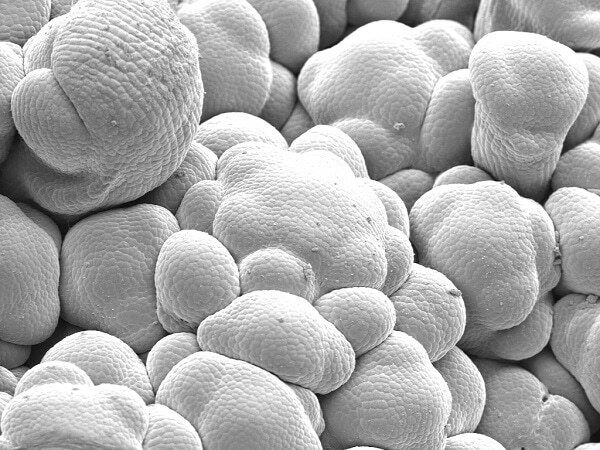 Studying plants using scanning electron microscopy (SEM) was a challenge. Prior to having a Cryo-SEM preparation system, the lab would look at fresh plant samples that dried up and were hard to maintain while doing SEM. There was an urgent requirement for something to enable better imaging of fully hydrated plant tissue. We have been impressed with the low maintenance costs and excellent applications support from the Quorum team. The system is now an integral part of the microscopy facility at the Sainsbury lab and because of the superior results we are getting now compared to before, the SEM use has gone up from about 8 hours per month to 64 hours per month. We are also able to process samples that we could not easily do prior to getting the Quorum kit. The PP3010T is a highly automated, easy-to-use, column-mounted, gas-cooled cryo-SEM preparation system suitable for most makes and models of SEM, FE-SEM and FIB/SEM. To obtain full details of cryo-SEM preparation systems and other products available from Quorum Technologies, please visit www.quorumtech.com.